Timothy Kremchek, M.D. is a board certified orthopaedic surgeon who is fellowship trained in sports medicine. A 1986 graduate of the University of Cincinnati College of Medicine, Dr. Kremchek completed fellowships in total joint reconstruction and sports medicine in both Boston and Birmingham, AL, at the Alabama Sports Medicine Institute under the tutelage of Dr. Jame Andrews. His passion for sports medicine is obvious, since he has been the Medical Director for the Cincinnati Reds and their minor league affiliates since 1996. In addition, Dr. Kremchek also provides second opinions for the NFL, and is Team Physician for Wilmington College, Morehead State, and Wittenberg University. Dr. Kremchek serves at the Medical Director for Lakota West High School as well as Moeller, Indian Hill, Kings, Wyoming, Mt. Notre Dame, Mason, and Princeton high schools. His special interests include sports medicine and orthopaedics. It is Dr. Kremchek’s goal to help athletes return to play, while developing the knowledge and skills to prevent future injuries. For active patients, he endeavors to guide them through the healing process, while helping inform them to prevent future injuries. Carlee is one of our Certified Athletic Trainers through our partnership with Beacon Orthopaedics & Sports Medicine. 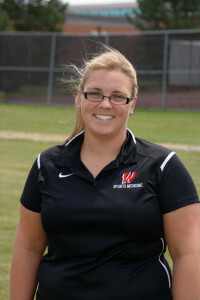 She primarily works with the Freshman, and Junior High teams. Prior to becoming a Firebird Carlee spent time at a high school, outpatient physical therapy clinic, club soccer, and Beacon Elite Sports Training. Her background and passion in strength & conditioning gives her a unique approach to athletic injury and rehab. 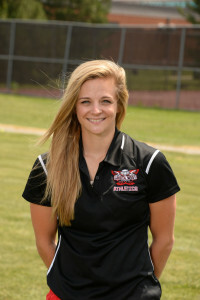 Carlee earned her B.S in Athletic Training from the University of Cincinnati. During that time she had the opportunity to assist in cutting edge concussion prevention research with Cincinnati Children’s Hospital, and was the recipient of the 2015 Ohio Athletic Trainers’ Association Student Award. She is currently working on obtaining a Master of Health Administration degree through University of Cincinnati. Carlee is a Graston Technique Provider, and a member of the NATA, GLATA, OATA, GCATA, and NSCA. Originally from Brisbane, Australia. While in Australia he started as an intern and learned about sports performance coaching from experienced coaches. 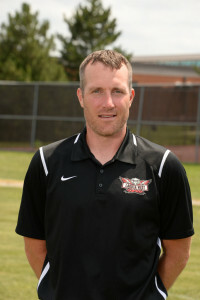 Now in his third year in Cincinnati, he trains multiple teams at Lakota West and Moeller High Schools. Izak specializes in sprint mechanics and the power and strength required to develop high speed. Izak holds a Bachelor Exercise and Movement Science and is certified by the CSCS – National Strength and Conditioning Specialist. He is currently pursuing a Masters in Strength and Conditioning. Follow and Contact Dr. Murtland on Facebook for your appointment today!